Discount available! Recommend RASPBX - Switchboard VOIP with Raspberry Pi to your friends and get your Discount. Set including all the necessary parts for the construction of a VOIP phone based on Raspberry Pi. 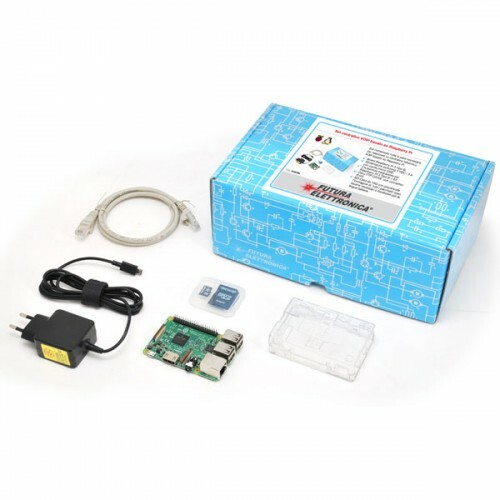 The kit includes a Raspberry Pi 3, an ultra-compact switching power supply, a CAT5E 2xRJ45 FTP cable, a transparent case for Raspberry PI 3 and a 16G SD card with the preloaded image of all open source packages necessary. The switchboard is based on Asterisk and is compatible with a large number of peripheral devices that adapt to any need for communication. SIP standard IP telephones are the devices that look more like esthetically and as a way to use traditional phones. There are many manufacturers, but for the moment the SD card is preloaded with the Yealink phone provisioning module, however, other brands can be used without any problems.